Within 40 days of your reading these words, a new government will have assumed office in New Delhi. At the time of writing, the situation is fluid and although the incumbent BJP/NDA coalition is the frontrunner of General Election 2019, it is impossible to forecast the outcome of the world’s largest democratic election. The tea leaves indicate that the BJP-led NDA coalition will be returned to power, but with a reduced majority. Yet whatever the outcome of General Election 2019 in the run-up to which invective, rather than illuminating debates on grave issues — terrorism, religious extremism, rural distress and rampant unemployment among others — are the rule, the most urgent problems that the new government will have to address are farmers’ distress and rising unemployment. These problems won’t go away unless there is massive and sustained investment in meaningful education and human capital development. 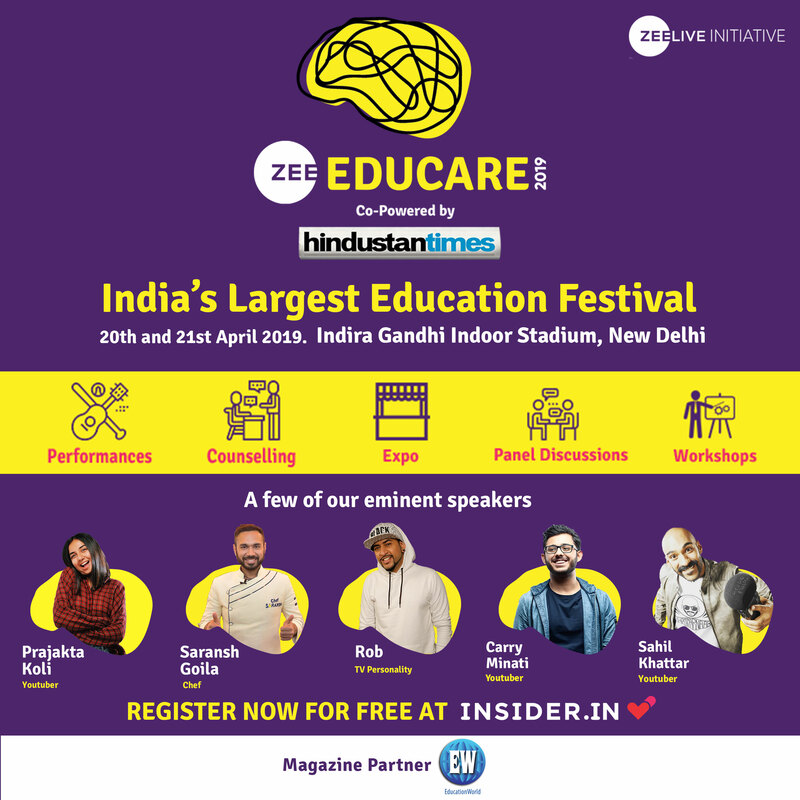 Yet despite ready availability of a wealth of evidence from around the world testifying to the proven linkage between investment in public education and national development, it’s curious that India’s garrulous politicians and pontificating pundits haven’t been able to connect the dots. Investment in public education (Centre plus states) continues to languish in the 3-3.5 percent of GDP rut (cf. the global average of 5 percent and 6-10 percent allocated for education in the developed OECD countries), a sin compounded by the uninterrupted corruption and administrative ineptitude across the education spectrum. 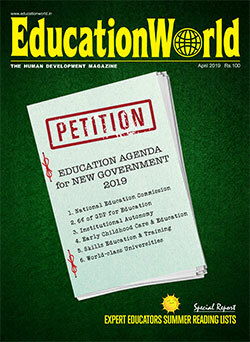 Against the backdrop of open, continuous and uninterrupted neglect of public education for over seven decades in independent India and its devastating consequences including widespread rural unrest (because of illiteracy, ignorance, low productivity, massive unemployment/unemployabilty of ill-educated school-leavers), the first priority of the new government which will assume office in New Delhi in end May, should be to pull out all stops to reform the country’s education system from preschool to Ph D. The condition of the public education system is so precarious that education reform needs to become a non-partisan subject. 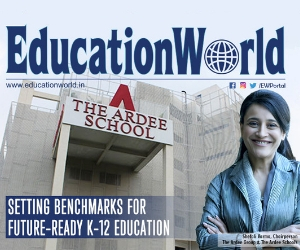 In this issue of EducationWorld with the advantage of 19 years of single-minded focus and study of the ills that afflict 21st century India’s collapsing education system, we present a diagnosis and prescription for placing it back on track to ensure that the nation’s much-proclaimed demographic dividend doesn’t transform into a massive liability. 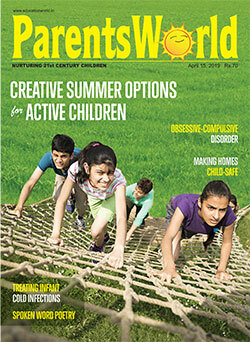 And with the six-eight weeks summer holiday of academia having begun, managing editor Summiya Yasmeen persuaded a selection of expert educationists to prescribe summer reading lists for teachers and educators, including parents. These reading lists are presented in the special report feature of this issue which also contains a very interesting People section.